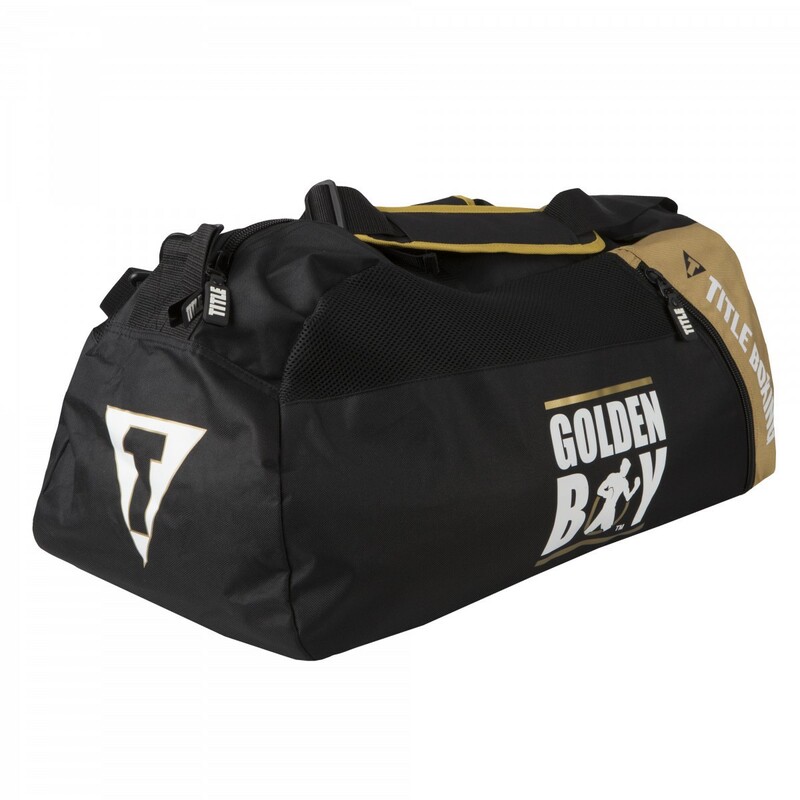 ICarry all your new Golden Boy gear in this ALL–IN-ONE super sport bag and back pack. It features a full length top and opens to an ample storage compartment for all your equipment, apparel and much more. Two wide, mesh insert zippered side pockets and a bottom liner zippered pocket provides a variety of storage possibilities. The two, padded shoulder straps are easily removable and conveniently tuck into a zippered pocket when not in back pack mode. It is built of tough denier nylon with seatbelt nylon carry handles, a padded removable shoulder strap and intricate Golden Boy color screens.